I had a friend come over on Saturday and we sat and crocheted. Well she crocheted, I sewed in some of the millions of ends on my blanket. I got loads done, its amazing how much easier it is to do something like that when you have some company. With a little encouragement I decided that the blanket was going to be finished this weekend. Once I'd finished the seaming and the sewing doing the actual border took no time at all. It all got finished yesterday in time for the Husbeast coming home from the allotment. The cage in the corner of the photo is where Speedbump my grumpy tortoise lives, when she's not hiding under furniture in the living room or trying to singlehandedly eat my lawn. 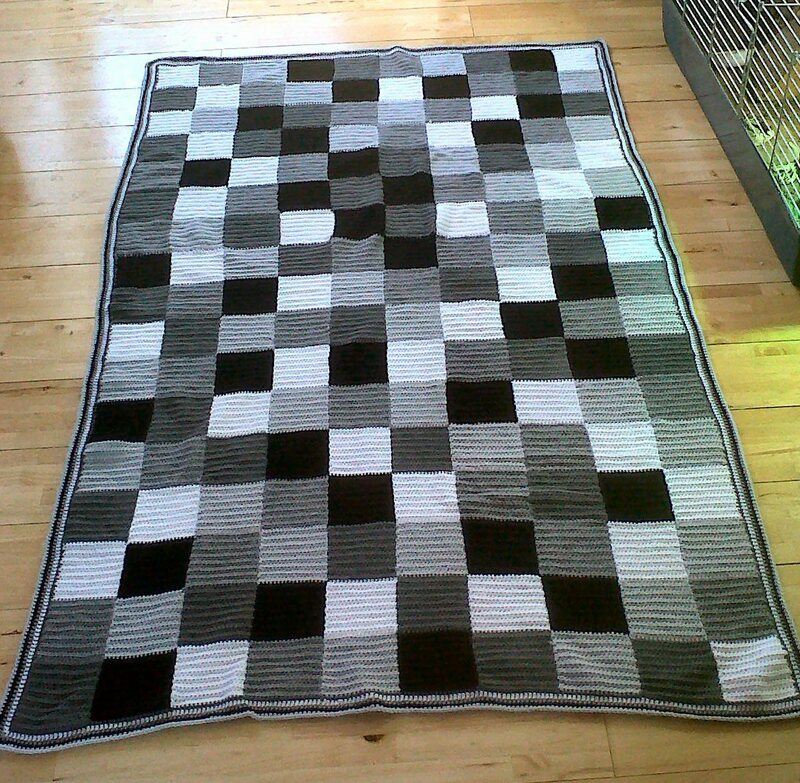 I'm also half way through a coloured version of this blanket but I've run out of wool. I'm quite impressed with the Stylecraft Special DK, it cost about £30 to do a blanket and a half, so each blanket works out to about £20. Its soft, washable and easy to work with.Best of all, when I am using it in these quantities, its cheap!